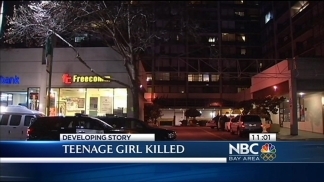 Justice Toliver, 17, was allegedly shot and killed by her 14-year-old brother in Oakland. A 14-year-old boy suspected of killing his 17-year-old sister has turned himself in, attorney John Burris confirmed Wednesday afternoon. Burris’ firm is representing the family involved in this case. At 2:15 p.m., Mario Toliver Jr. turned himself in at the Oakland Police Department. He was accompanied by his family and attorney Adante Pointer, who works with Burris. “He is not a hardened criminal,” Burris said, adding that he had been talking to the boy for days trying to get him to surrender. Burris also said the teen is scared, remorseful and emotional. 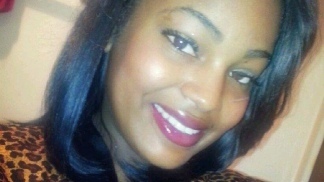 The teen had been wanted by police on suspicion of shooting and killing his sister, Justice Toliver, on Thursday. Several media outlets had reported that the dispute leading up to the killing was because Mario was mad at his sister for bleaching his clothes. There was indeed a fight before Justice — the mother of a 2-year-old daughter — was found dead. Burris on Wednesday said the shooting was not over laundry. Stewart, who lives two floors up from Justice and Mario, said both teens were stressed. Mario also has a baby, who is about six or seven months old, Stewart said. The family has set up a donation webpage to raise money for funeral costs. The goal is $10,000. NBC Bay Area’s Jodi Hernandez, Lisa Fernandez and Jean Elle contributed to this story.